Take the night off from cooking dinner and join your fellow Foxes for Spirit Night! 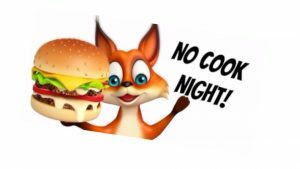 Our NO COOK NIGHTS s give us a percentage of the sales for all the customers that mention they are there to support Fox Meadow Elementary. Some of the participating restaurants are below; restaurant nights will be held various evenings each month.